Composed of 11 artists, BASE / Progetti per l’arte recounts, through videos and documents, its 18 years as an independent space in Florence. The video wall will be transmitting a selection of images of the site-specific works created in the Florence space as well as a series video interviews with the artists of the collection curated by Lorenzo Bruni. Also on show will be all the materials produced over the past 18 years and the posters created for the occasion by the individual artists in which they represent their own practices in relation to the BASE project. 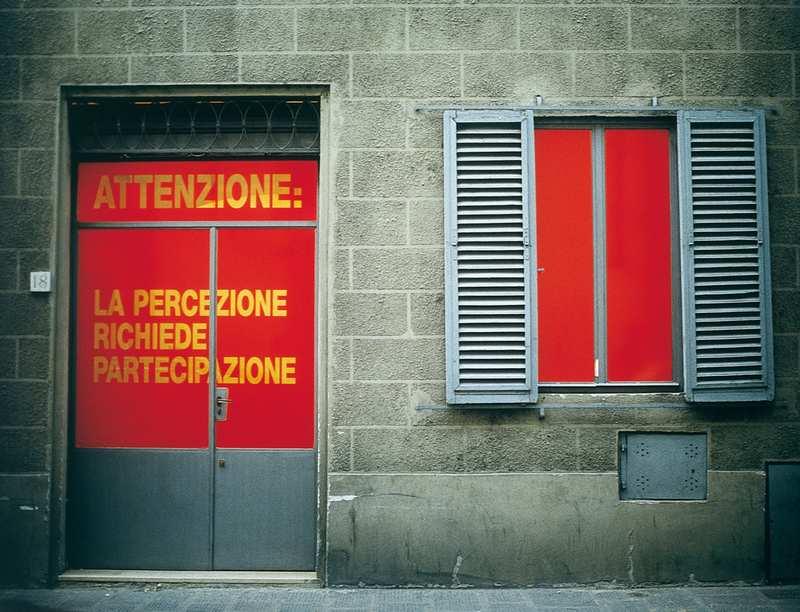 BASE is an artist-run spacein Florence driven by a collective that currently numbers 11 member artists: Mario Airò, Marco Bagnoli, Massimo Bartolini, Vittorio Cavallini, Yuki Ichihashi, Paolo Masi, Massimo Nannucci, Maurizio Nannucci, Paolo Parisi, Remo Salvadori, Enrico Vezzi. Founded in 1998 as a non-profit space, BASE has presented over 60 exhibitions of artist of international standing, with projects conceived specifically for the space. In parallel, seminar cycles, screenings and concerts have been organized, stimulating reflection on the role of culture today and in a dialogue with the city and its history.